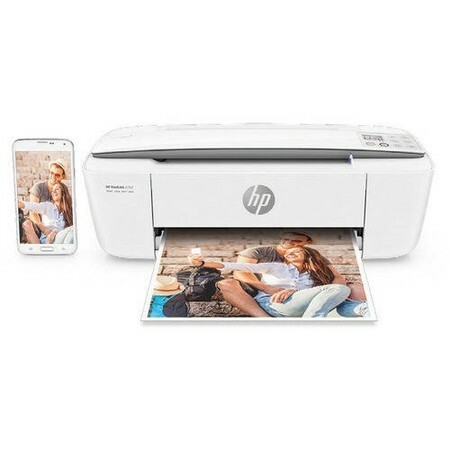 Get the compact printing power and wireless independence you need to print, scan, and copy from virtually any mobile device. 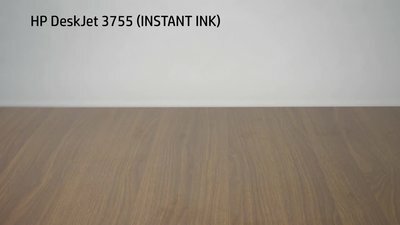 The world's smallest all-in-one for home, this affordable printer is designed to fit and look good virtually anywhere. I bought this printer less than a month ago and I am impressed. I use it mainly to print items for school and it is slow, expected from such a small printer but it works. Not recommended for large office work. Although I have been loving the instant ink capabilities. I wish that they had more print capabilities more than 300 prints/month for the high priced package. 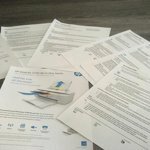 Hp please add more print capabilities if someone can read this review. Otherwise I am happily with my choice! 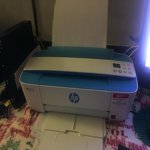 I finally broke down and bought a new HP printer to replace my antique HP and what a delight. It was easy to set up, connect online and you only had to insert the ink cartridges. It only took 5 minutes and I was printing documents. I bought this printer over a month ago, and I am so happy with it. I have printed a ton of stuff using it already for school, and it works great every time. I love that it has an app to check the ink levels and that it alerts you when the paper is out. I also love that you can email something to the printer to be printed. The scanner and copier works well also! The printer was easy to set up and get the Wi-fi working with my computer. It is noisy when printing but since it is for home use and I don't print very often it is not a problem for me. 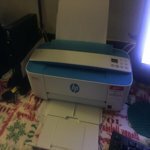 I bought this HP printer about a month ago. It was priced right and looked like it would fit nicely in my small apartment office. It's a good, compact printer, ideal for personal use (small printing jobs). The instructions for installing it were clear, although the only problem I encountered had to do with figuring out how to scan documents to my computer. (I still haven't figured this out). 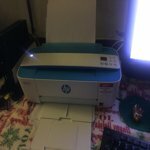 On the whole, I'm satisfied with my purchase and would recommend to someone who's looking for a small, compact, very reasonably (inexpensively) price printer. I've had this printer for a couple of weeks now, and overall I would say it's a good little printer. My purpose for buying it was it's small size since I have a very small workspace. I also own an HP Envy and I love it - it just takes up too much space. 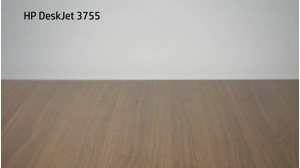 I wish the HP 3755 had the same quality as the HP Envy, but we'll make it work. Slow printer, also, when copying, the feeder does not work so well and I end up wasting a lot of ink as I get a huge chunk of black printed on the copied document. On the plus side, extremely lightweight and small. It took many tries to connect to my home network, and really seems to prefer the neighbor's network. It loses connection easily. It will not connect to my 5 gHz network, but you don't know until you get it open. I didn't use it for a month, and now it prints only the diagnostic page, and each line is cut off, like only the bottom half of the line prints, unreadable. See photo. 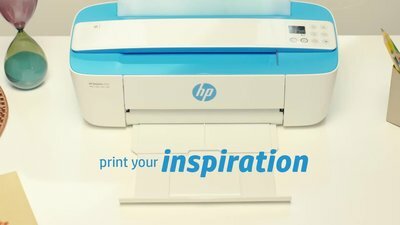 Avoid this horrible printer. This is the absolute worst piece of hardware I've ever purchased. 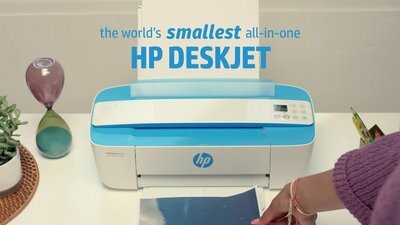 The price was great and I loved that the printer was compact in size, but it will not connect and will not work on a wireless network. I have uninstalled the software, re-installed the software, tried it on a different computer, tried it from my phone...all it does is print Printer Information Pages over and over and over again. It also takes over a minute to print a page in color. It's a joke. Don't waste your time or money.